Joseph Paul Walker was born on 10 August 1836 at Bedfordshire, England, son of William Walker. He emigrated to New Zealand in 1863, and married Annie Black at Auckland, New Zealand in 1866, They arrived at Sydney in 1868. There were five daughters and four sons of the marriage. He died at 1 Toxteth Road Glebe on 1 March 1904, aged 67 years. Annie Walker died at Waverton on 16 May 1934, aged 88 years. Walker and Scottish-born partner Thomas Sinclair, building in the Italianate idiom, were the largest builders at work in Glebe Point during the 1880s. Described as a bricklayer in England, Walker began as a joiner on St Phillips estate in 1869 before moving to Bishopthorpe. Walker told a meeting in 1881 Glebe was better suppled with omnibus than other suburbs but the tempo of population increase meant omnibuses were ‘now unequal to the traffic’. Between 1880 and 1889 he completed 62 new residences at Glebe Point, however unable to meet mortgage payments to the London Bank of Australia on Cook Street property the mortgagee foreclosed and he was made bankrupt in 1895. He left an estate valued at 527 pounds five shillings in 1904. Walker was superintendent of Glebe Presbyterian Sunday School from 1875 to 1883. In 1877 he addressed 300 children and 200 adults at the Glebe Band of Courage and was urging construction of a court house and lock up in 1878. He also gave evidence to the Glebe Borough Bill in 1878 regarding sale of land originally intended for a town hall. Walker told a meeting of protectionists at Glebe in 1886 that ‘this colony should encourage native industry to the fullest extent … he would like to see the working man work only six hours … and the machinery work 12 hours’. 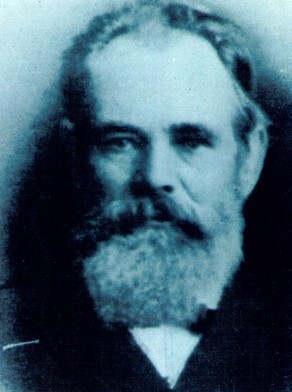 From the 1890s Walker was a prominent member of Sydney City Mission. Joseph Walker was part of a Glebe delegation in 1880 urging the Minister for Public Works to connect ‘the Glebe and Glebe Point with the city by means of a tramway’. The minister advised the delegation he recognised the importance of extending the system of tramways throughout the suburbs. A tram line to Glebe Point was completed in 1882. Walker said in 1883 Glebe’s population had almost doubled in the preceding four year, and Glebe Island abattoir was a nuisance before, they were doubly so now. He chaired a meeting in 1900 to form the Glebe Sanitation Committee for the purpose of co-operating with Glebe municipal authorities in efforts to prevent the spread of bubonic plague.